I am a sucker for anything that combines the flavors chocolate and orange, and these chocolate orange espresso thins are a great way to satisfy my craving for that flavor combination. I think this goes back to how obsessed I used to be with the chocolate oranges that I used to bang on the table to break apart the slices. 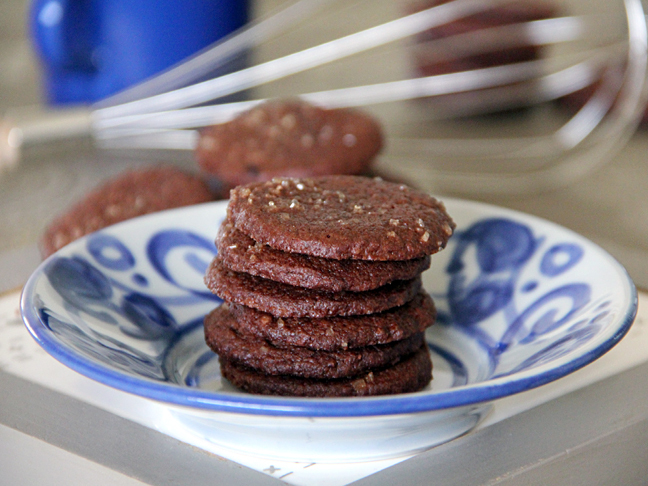 When I started working this recipe I knew I'd found my newest favorite chocolate cookie. These are thin and crisp with just the right amount of orange flavor. For those of you who love this flavor combination like I do, you will love this cookie! A grown-up way to reminisce on those chocolate oranges you used to bang on the counter to eat! 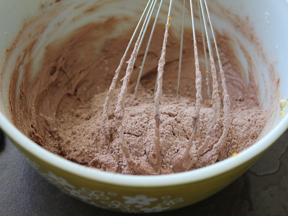 Step 1: Mix flour, cocoa powder, espresso powder and salt in a bowl. Set aside. 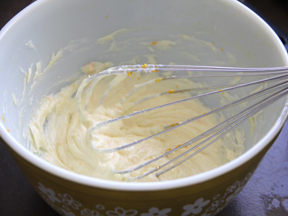 Step 2: Put butter, confectioners' sugar, orange zest and vanilla in the bowl of an electric mixer fitted with the paddle attachment. Mix until pale and fluffy, about 3 minutes. Step 3: Scrape down sides. On low speed add the flour mixture until just combined. Step 4: Place dough down on a Silpat or parchment paper. 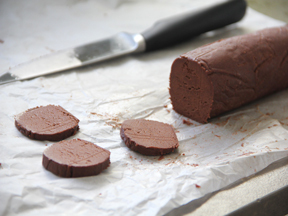 Shape into a log that is 1 1/2 inches in diameter. Make sure there is no air in the log. Step 5: Wrap log in plastic wrap and chill at least 2 hours or overnight. Step 6: Preheat oven to 350F. Cut log into 1/4 inch thick slices. Transfer slices to baking sheet lined with Silpat or parchment paper. Step 7: Brush tops of cookies with water and sprinkle with sanding sugar. 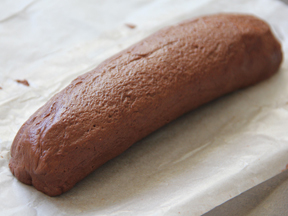 Step 8: Bake until set, about 15 minutes. Step 9: Cool on cookie sheets and then transfer to wire rack. 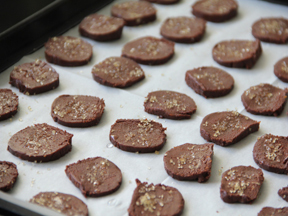 Cooled cookies can be stored in airtight container for up to 1 week.